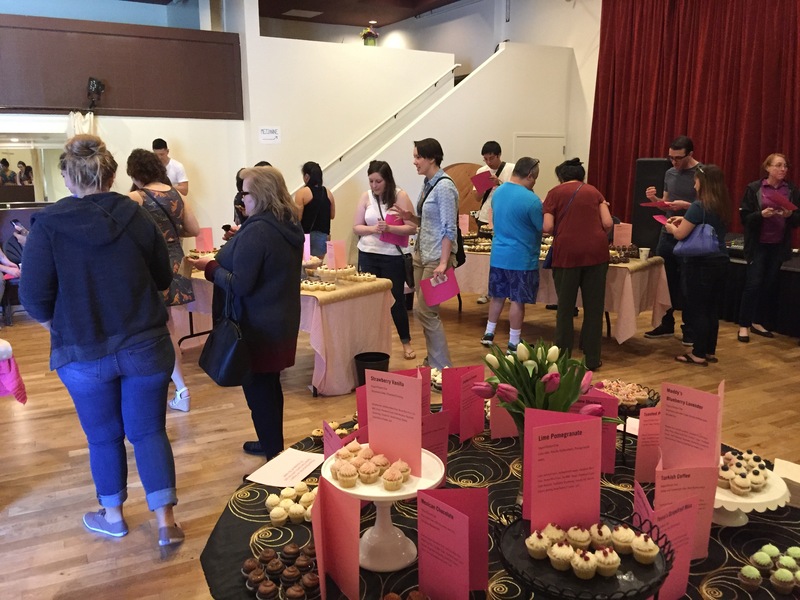 My friend and I went to a cupcake tasting with Angel Cakes and we had way too many cupcakes. Yes, there is such a thing! When we signed up we were thinking “oh yea, they will probably have five or six flavors they want us to try and we’ll rate our favorites.” The day before the tasting they announced that there would be twenty flavor combinations to try, plus an additional sixteen gluten free and vegan varieties. I’m assuming they didn’t expect everyone to try every flavor because twenty mini cupcakes apparently equals eight normal sized cupcakes, but um, food enthusiast here! My friend and I were determined to try all the flavors so we could accurately report on all of them! I tried the first ten flavors and ate a total of three full sized cupcakes, which I was estimating was my upper limit. (It’s actually probably closer to two cupcakes…) My favorite of the ten turned out not to be a chocolate based cupcake, but the white chocolate (not real chocolate!) raspberry cupcake. The raspberry added a much needed fresh, cold, and sour element to a very sweet cake and frosting combination. First confession: I brought a container with me in case they would let me bring home the flavors I couldn’t get to. …They let me sneak out a handful. Second confession: Those cupcakes are still in my fridge because I can’t eat anymore cupcakes. …Who am I kidding; they are gone now. What’s your favorite cupcake flavor? Cupcake recipe? Cupcakery? Share below! Previous Postan ode to nissan.